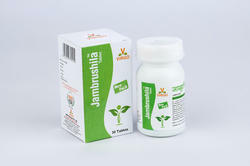 Jambrushila Tablet is a Ayurvedic herbo - mineral combination. They are calibrated concentrated Dried Extracts. Disintegrate within 10 minutes, enabling faster relief. Even smaller doses are very effective because of higher concentration ratio. Because of tablets, they are easy to handle, store and dispense. Average shelf life of 30 months. Dosage: Mix 1 gm of Wesnil Plus Powder into Milk, or other Food once a day or as directed by physician. K-CID Ayurvedic capsules neutralize excess acidity, prevent heart burn and heals ulcers. K-Cid contains natural ingredients that are refrigerants, diuretic, carminative, stomachic, coolant healers and helps in checking dyspepsia, flatulence and vomiting. 1. K-CID neutralizes the stomach acid. 2. Is an excellent coolant and refrigerant. 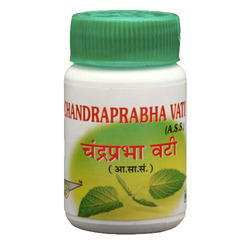 Herbal Medicines are enjoying a widespread popularity all over the world. People have started realizing the actual benefits of nature and are now slowly but gradually turning towards natural ways to keep themselves fit and healthy. Poor eating habits, stressful lifestyles and pollution rob our body of vital nutrients and weakens our digestive and immune system, thus making watches it difficult to reach ideal weight. Diet Booster helps in maintaining good health. Sore throat, Cough, Hoarseness of Voice, Bad breath. Ideal for Singers, Orators, Smokers, Tobacco chewers.